On the 14th July, a group of LGBTQI people will be marching as an Anti-Racist and Proud Block on We are: Proud Pride Parade.This is in response to the far right group the English Defence League’s intenton to march in Bristol on the same day as this year’s Bristol Pride. 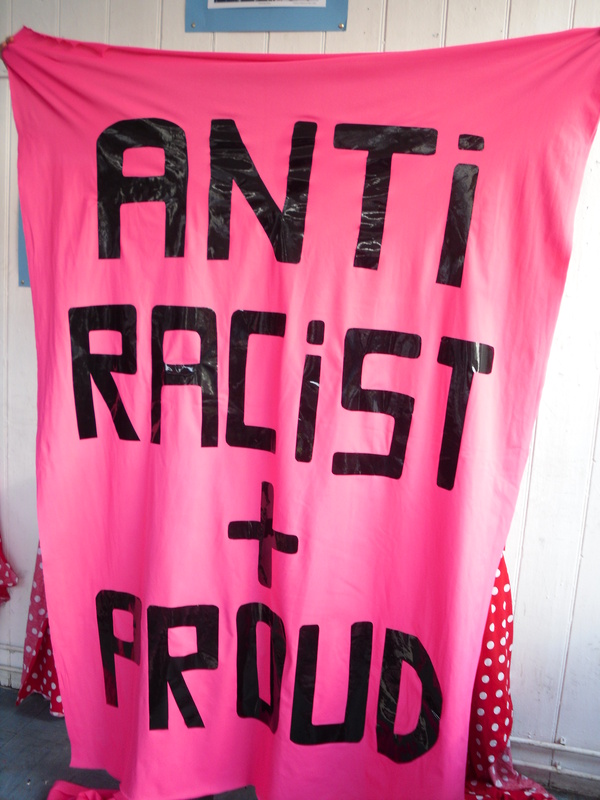 *“We believe that having an explicit, and visible anti-racist presence at the pride parade will send a strong message that the EDL are not welcome in Bristol, and not welcome at Bristol pride. We refuse to allow the EDL to mask their message of hatred by falsely claiming to support the LGBTQI community. *” said one organiser.